The Hot Coffee Guesthouse is surrounded by stunning scenery which is located near Mae Chaem and close to the Doi Inthanon area. 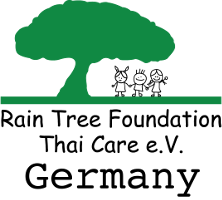 It was initiated by the Rain Tree Foundation as a social enterprise. Today the profit from the guesthouse helps to finance the Mae Na Chorn children’s home which is located directly below the Hot Coffee Guesthouse which also partners with Karen Coffee. Find out more about Hot Coffee Guesthouse, click on the picture on the left, (above if you are reading on mobile). The highlands of Northern Thailand provide excellent conditions to grow Arabica coffee trees. Many hill tribe farmers are growing organic coffee but they face various challenges. The biggest challenges the coffee farmers face are the lack of education, financial resources and appropriate technology, as well as direct and fair access to the global coffee market. Traditionally, Karen Coffee farmers would pick their coffee cherries, dry them in the sun and sell them to local traders. They have little knowledge about prices in the local markets and much less in the global market. Farmers typically produce small amounts that require local traders to aggregate into larger amounts to fill export orders. As a result, this leads to the exploitation of the coffee farmers. They are often in debt and sell their coffee beans well below the market price and may not get paid in full. 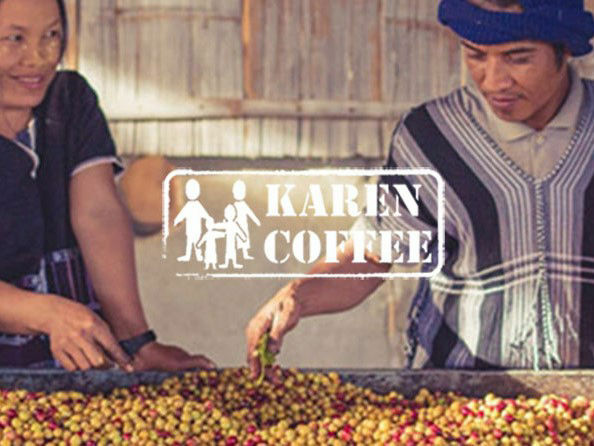 The Karen Coffee cooperative is a social enterprise which the Rain Tree Foundation supports. We support the coffee farmers and function as a drop-in center for certain issues they may have. For example: seeds, organic fertilizer, nursery equipment, knowledge exchange, processing, storage, marketing, etc. TUBe is a social enterprise which produces handmade bags made out of recycled inner tubes from bicycles and motorbikes. Rubber is among the largest and most problematic sources of waste. Typically, used and defective tires are burnt or buried. This causes a damaging effect on the environment and future generations of the nearby communities. To reduce some of this pollution, TUBe recycles the rubber tubes into handmade bags. 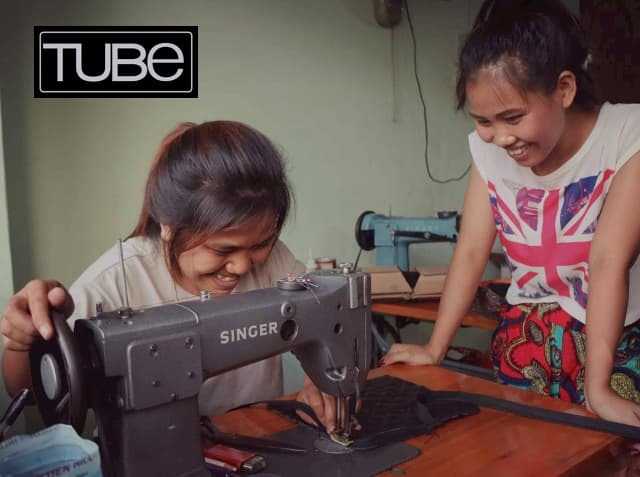 TUBe provides work for young hill tribe women in Myanmar and Thailand by employing them to sew the rubber products, thus providing them with a steady income and giving them a much needed job with a positive perspective for their future. The goal is to assist the hill tribe women and grant them an opportunity by providing regular training, a fair income, and a sustainable way of living. TUBe was initiated as a social enterprise and is still supported by the Rain Tree Foundation.